As you know there are a lot of gurus teaching affiliate marketing and claiming life changing results from it. But what they are teaching you is to promote cheap $7 affiliate products or $2 CPA offers. The truth is you cannot make a decent living from promoting low ticket offers as you simply need to many sales in order to make decent income. And what’s even worse is that a lot of these products either don’t work or are simply too complicated to understand. The secret to wealth is by also selling high ticket affiliate products. You know ones that pay up to $1K per sale or even higher. If you do the math, you would know that you don’t need many of these sales per week to make a great income. But how do you go about selling these offers and finding them. Rash Vin and I have found the answer. And we reveal it all in our training called High Ticket Cash Machines. We show you how to find and promote high ticket affiliate offers that is so simple that newbies can go from making no sales to making multiple high ticket sales easily. In fact the have compiled a list of offers, we call the High Ticket Rolodex that gives you some of the best offers that you can immediately start promoting. We also show you how to create your own high ticket product that you can sell for $5K, $10K or more. The thing is with this method you don’t have to close the sale yourself. You just send the traffic, and the Vendor’s sophisticated selling processes do the rest. Meaning massive paydays for you! We even teach how to get over 20 different traffic sources to these offers (many of which are free) and the exact way to build a targeted list of subscribers in the process, to ensure the income is long term and sustainable! 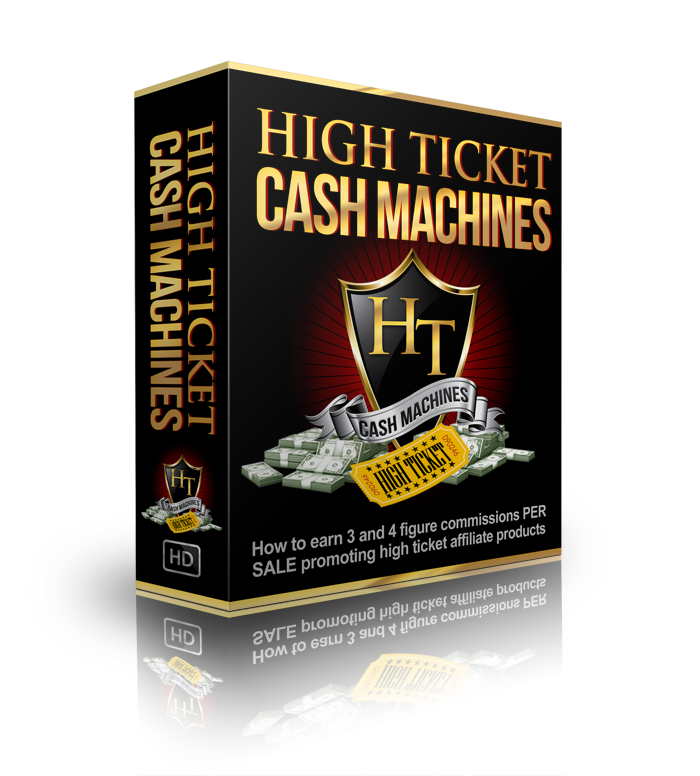 If you want to learn how to add high ticket sales into your internet marketing arsenal, then click here to grab High Ticket Cash Machines. Connect with Gary and follow his online journey here.